At Birth Boot Camp we are surrounded by simply amazing and talented instructors. We love them and the skills they bring to the table. One of our most recently certified instructors is Carmen Calvo who teaches in Baltimore, Maryland. She is a placenta encapsulation specialist (and an excellent writer) and a mother of two. 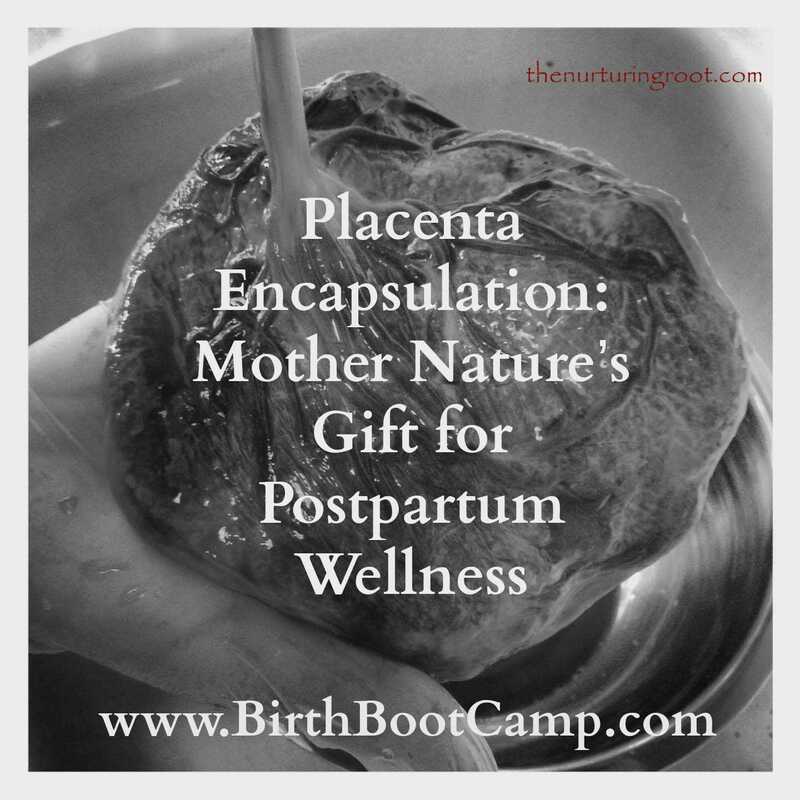 Today she writes about how placenta encapsulation is Mother Nature’s gift for postpartum wellness. This post is full of information about this interesting practice. Having a baby can be a joyous occasion, but for some it can also be the cause of hormonal imbalances, which can result in a mother feeling emotions ranging from â€œthe baby bluesâ€to more serious forms of clinical depression. Mood imbalances are not uncommon among new mothers. In fact, 80% of new moms experience â€œthe baby bluesâ€ and up to 20% suffer from postpartum depression. In a study by The National Institute of Health, it was determined that the mid-pregnancy levels of Corticotropin-Releasing Hormone (CRH), a stress relieving hormone, may be an indicator of postpartum depression. CRH is typically produced by a part of the brain called the hypothalamus, however, during the 3rd trimester, the placenta produces so much CRH that the mother’s levels increase three fold. This increase is thought to get her through the stress of labor and delivery. One result of the placenta secreting so much of this hormone is that the hypothalamus discontinues production of CRH completely. Once the mother delivers the placenta, her hormone levels can go back to baseline within five days, resulting in a huge hormonal shift. It may take a few weeks after delivery for the hypothalamus to get the message that the baby has been born and mom is in need of CRH. It is during this gap between birth and when the body regulates itself that women typically experience the onset of postpartum mood disorders (PPMD). Many antidepressants are a contraindication with breastfeeding, leaving some moms with the painful task of choosing between their own mental health and giving their baby the best start by breastfeeding. Placenta Encapsulation- Can It Help With Postpartum Mood Disorders? Fortunately, there may be a holistic, more natural way to lessen a mother’s risk factors for PPMD. Placenta, used for centuries in Traditional Chinese Medicine, may benefit a new mother’s postpartum recovery. After delivery, the placenta retains many of the hormones that postpartum women are lacking. It is thought that by ingesting the placenta, also known as placentophagy, a mother can return to homeostasis more quickly. Typically considered medical waste in Western culture, the placenta can be used medicinally and has been reported to have a variety of benefits, including reducing one’s risk for postpartum depression. Placenta consumption may be unappetizing for some, but the process of placenta encapsulation can take the â€œickâ€ factor out of placentophagy. Placenta encapsulation, the process of turning your baby’s placenta into capsules, can be consumed like any other supplement or vitamin. How Do You Turn A Placenta Into A Vitamin? The process, performed by a trained professional, takes about two days and consists of cleaning the placenta, gently steaming it using Traditional Chinese methods, and preparing it for dehydration. Once the placenta is dried, it can be pulverized and made into capsules. : Prolactin, a hormone contained in the placenta, is necessary for milk production. In one study of 210 women, 86% had an increase in milk production when given dried placenta vs. a dried beef alternative. : It’s no surprise new mothers are tired. Their sleep schedules are often interrupted, they are nursing their new baby around the clock, and they are adjusting to their new role as a mother. However, fatigue may also be due to iron deficiency in postpartum mothers. It has been identified that iron deficiency can play a role in the onset of PPD. The placenta is loaded with natural iron and can be very beneficial to postpartum moms. Since the iron contained in the placenta is in its natural state, it is more easily absorbed by the mother. : By reintroducing mom’s hormones, she is more likely to avoid the severe hormonal fluctuations many postpartum women face. The placenta is full of hormones, minerals, and vitamins; even after parturition. Prolactin, oxytocin, estrogen, estriol, CRH, and thyroid-releasing hormone are only a few of the beneficial hormones a mother can consume when ingesting her placenta. : Placenta encapsulation may help a mother’s uterus contract back to normal size more quickly, which can hasten postpartum bleeding. Placing a piece of raw placenta between a hemorrhaging mother’s gum and cheek can be a very helpful tool for controlling excessive bleeding after birth. 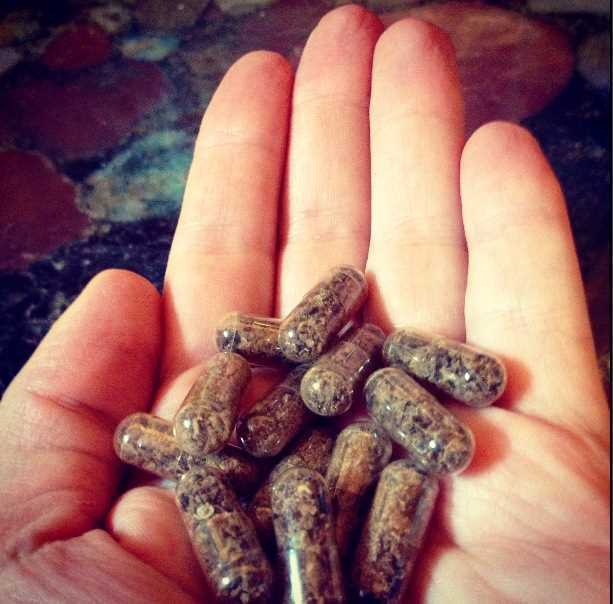 While the anecdotal evidence of the benefits of placenta encapsulation is overwhelming, research on placentophagy is still very much in its infancy. It is, however, encouraging that interest in the topic is growing. Last year, University of Nevada, Las Vegas released a scholarly report on placenta consumption in postpartum mothers. The findings were that 96% had a positive experience consuming their placenta and 98% would do it again if they had another baby. A peer reviewed placebo vs. placenta study is currently taking place at UNLV and the results should be reported in the next 2 years. Hopefully, when the study is published, we will be able to gain a deeper understanding of how placenta encapsulation benefits a postpartum mother. To learn more about placenta encapsulation or to find a specialist in your area, visit placentabenefits.info. Carmen Calvo is a Certified Placenta Encapsulation Specialist and Birth Boot Camp Instructor in Baltimore, MD. Shortly after the birth of her second child in 2011, Carmen started The Nurturing Root and began offering placenta encapsulation services. After achieving a balanced and well postpartum experience through placenta encapsulation, Carmen felt inspired to help other women in her community achieve the same. You can email her at carmen@thenurturingroot.com or visit her website at www.thenurturingroot.com.